How to make sure emails from Silvertrac are making it to your primary inbox. Problem: Depending on your default email settings, some emails from Silvertrac may accidentally be filtered into the spam or "promotions" folder. This not only means you miss out on emails from us, but it means that you'll have issues using the custom notifications feature in Silvertrac. Click on an email from Silvertrac (as shown above) and drag it into your Primary tab. 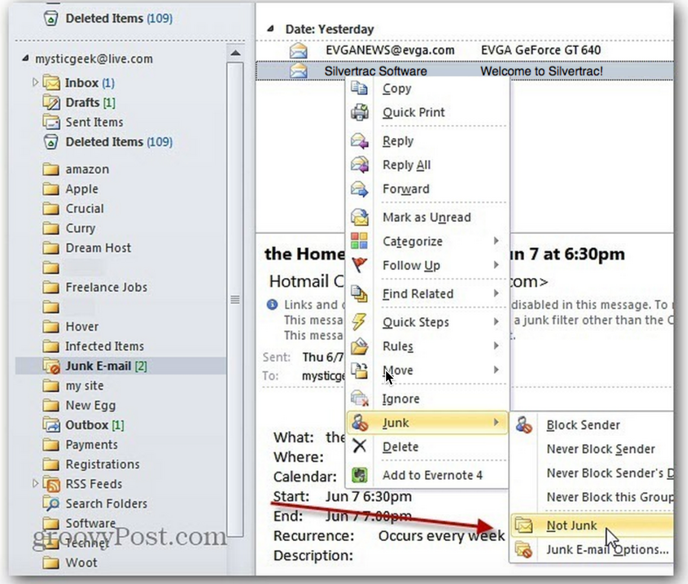 If a Silvertrac email ends up in the junk mail box, right click on the email and select "not junk". (As pictured below).